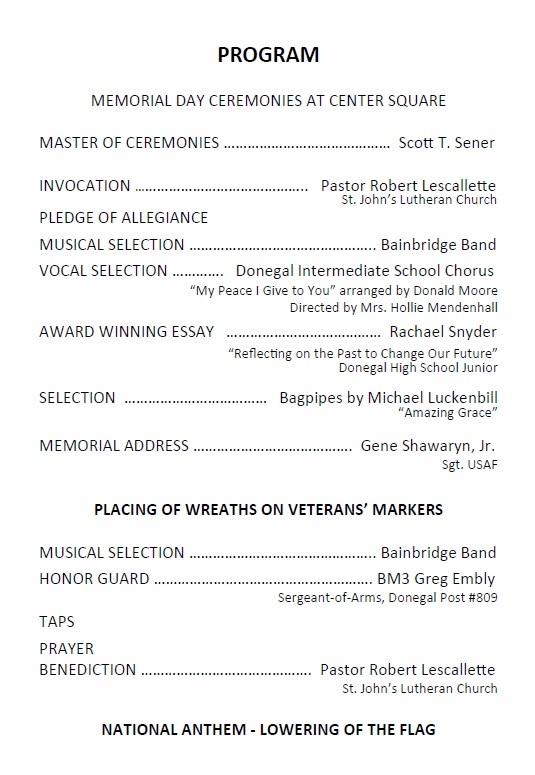 The Memorial Day Parade Committee has release the program schedule for the ceremony that will culminate the day-long Memorial Day activities in Maytown on Monday, May 28, 2018. Please plan to attend. Click to view the entire Memorial Day Parade Brochure 2018.